Did you really need another reason to just get out there and vote? How about free sweets? A huge number of bakeries, doughnut joints and ice cream shops are offering either free, discounted or special goodies today in celebration of the big event--Cupcake Royale (Seattle), Retro Bakery (Las Vegas), Ben + Jerry's (all over), Cupcake Jones (Portland), and so many more! Bmoresweet bakes cupcakes for her candidate. Delicious! 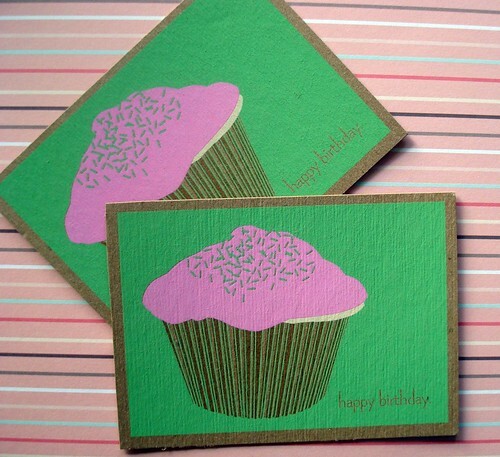 So sweet: new silkscreened cards from Bethany Schlegel Art + Design. Grown-up candy bars that we're in love with at bonbonbar.com. 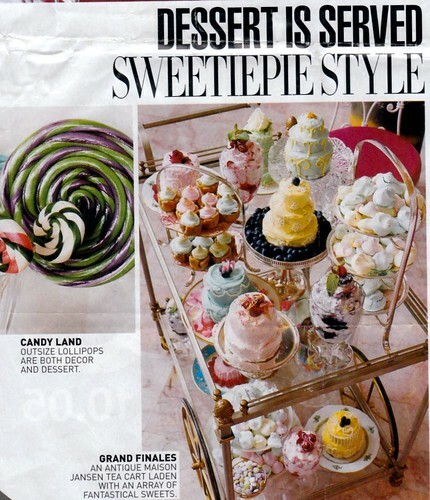 We definitely need more event planners like Amy Atlas: she does dessert parties! After reading about them in Vogue and Coolhunting, all we can say is when, when will you open, oh soon-to-be darling of Greenwich Village, Sweetiepie? When we went by last month, all we saw was construction! How to serve dainty desserts? How 'bout on sweet monogrammed plates by LA Plates? We love the solid pink style!